You’re used to using a mouse, and you probably last touched a trackball in middle school. 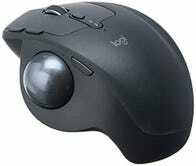 However, there’s a middle ground that’s gone relatively unnoticed that’s worth trying: a modern trackball mouse. Most peripheral manufacturers gave up on making trackball mice a long time ago, but Logitech is still plugging away at it. Their flagship MX Ergo is one of the best around—and the one I use regularly—but they also make cheaper models. Kensington is the only other major name in the trackball space, but they tend to make more traditional style trackballs. At this point you might ask yourself, “Why in the world would I use a trackball when they died off years ago?” It’s a fair question. For starters, they can be easier on your wrists and forearms. With a typical mouse, you need to bend your wrists and slide your arms across your desk repeatedly. A trackball mouse like the MX Ergo sits in one place, and only your thumb needs to move. As someone who spends hours every day at a desk, this can be an absolute godsend for me. Repetitive strain injuries are no joke, and carpal tunnel is even worse. It can take a little while to get used to moving your cursor with your thumb, but once you adapt, it’s considerably easier on your muscles. The MX Ergo even has a tilting base so you can turn it up to 20 degrees so it keeps your wrist even more straight. 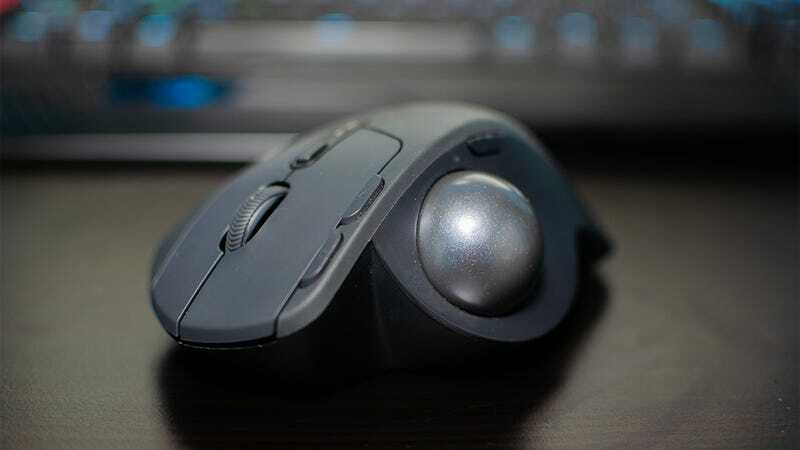 Away from a desk, trackball mice are even better. It doesn’t matter how good your travel mouse is, you’ll still need a wide, flat, relatively clean surface to use it. Try that in an airport, or in the last, worst open seat at the coffee shop. The MX Ergo, on the other hand, works as long as you have a place to set it down. Even on your lap, you can move the trackball with exactly as much precision as you would at your desk at home. The MX Ergo in particular is a delight. 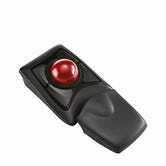 It has a handy button for “precision mode” which drastically reduces the sensitivity on the trackball. This is helpful when you need to switch from typical, broad use to detailed work and back. 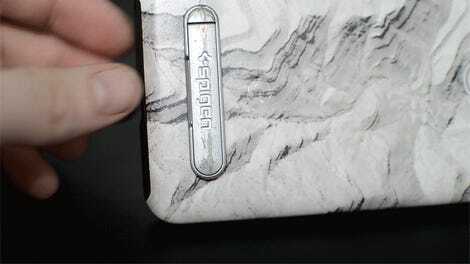 It also comes with a convenient switch that lets you switch between two devices seamlessly. When you move from your desktop to your laptop, just tap the button and boom. It’s paired and ready to go. A trackball mouse isn’t right for everyone, but I sincerely believe that they’re right for a lot more people than currently use them. If you suffer from wrist pain—or would like to avoid it in the future—or you just want something that gives you (most of) the precision of a stylus and (most of) the speed of a mouse, a trackball is the way to go.